Teknor Apex has announced it will introduce an array of new medical-grade PVC compounds formulated at MD&M West. The new compounds are without DEHP or other orthophthalate plasticisers are pre-compliant with global standards, with the company claiming it could enable device manufacturers reduce their time-to-market. The new Apex PVC and Flexalloy PVC elastomer compounds are available in ten series, each with Shore A hardness from 50 to 90 for Apex grades and 40 to 80 for Flexalloy grades. Teknor Apex offers the standard grades in a high-clarity medical blue tint, and can custom formulate options to meet a variety of colour, opacity, and self-frosting needs as specified by the device manufacturer. All of the compounds can be ETO-, gamma-, and E-beam-sterilised and exhibit good colour hold. Extrusion grades of the new compounds are suitable for use in respiratory, blood transport and delivery, catheter, enteral feeding, and many other types of tubing applications, as well as for cable jacketing on powered medical devices. 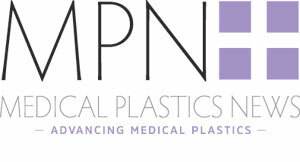 Uses for injection moulding grades include luers, canulae, caps, connectors, valves, ear protection, endotracheal airway cuffs, mouthpieces, oxygen masks, safety goggles, resuscitation bags, and bulbs. ● TOTM. This trimellitate is a high performing alternative to other non-DEHP plasticisers, exhibiting the least extractability from the PVC matrix and greatest resistance to crazing or stress cracking when in contact with polycarbonate or ABS. TOTM delivers excellent toxicology results as well. ● ATBC. Acetyl Tributyl Citrate, derived from citric acid rather than petroleum sources, exhibits processing behaviour almost identical to that of DEHP and has excellent toxicology. ● TOTM / DOTP and ATBC / DOTP. These plasticisers are based on proprietary blending technologies developed by Teknor Apex. Di-octyl terephthalate (DOTP or DEHT), a non-orthophthalate plasticiser, is a cost-effective alternative to DEHP. Blending it with TOTM or ATBC yields plasticisers that are also more cost-effective than 100% TOTM or 100% ATBC formulations; provides as good or better processing; preserves or enhances the excellent toxicology performance of TOTM or ATBC; and maintains or improves compatibility with PC and ABS. All this adds up to reliable long-term performance while meeting the toxicology and biocompatibility requirements critical for product acceptance in worldwide markets.